CalculiX results files (FRD) can now be post processed in Femap! Multiple time steps are supported. 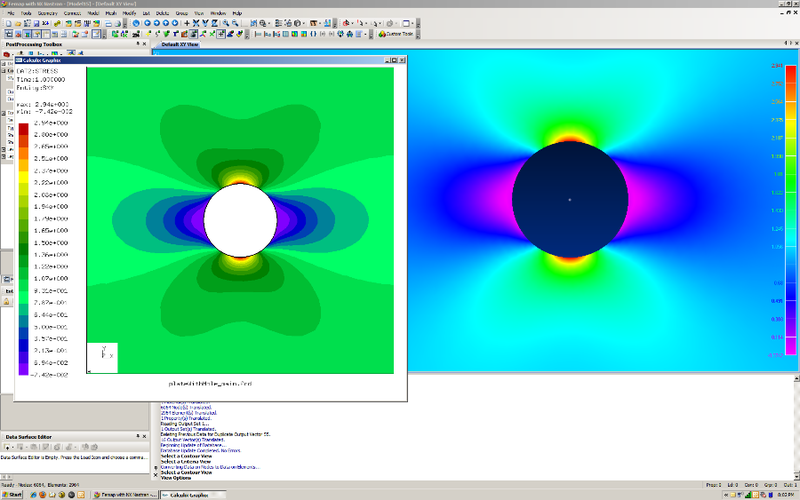 Importing CalculiX results into Femap is fully integrated with the Femap user interface. The CalculiX interface is automatically added to the "Custom Tools", but can also be added to the "File" menu under the submenu "Import". When you select to import CalculiX results a dialog opens to request an FRD file. Then a window opens showing the progress of the translation from FRD to Femap Neutral File Format (NEU) and a summary of the file's contents. Once the translation is complete, the neutral file is opened in the current Femap session. The translation can also be performed as a batch job and will be made available through the Open Engineering Suite CAE data translation wizard. A Femap preprocessing interface for CalculiX is under development! If you would like more information, have a 'wish list' of features or just want to comment on the software, please feel welcome to contact us. 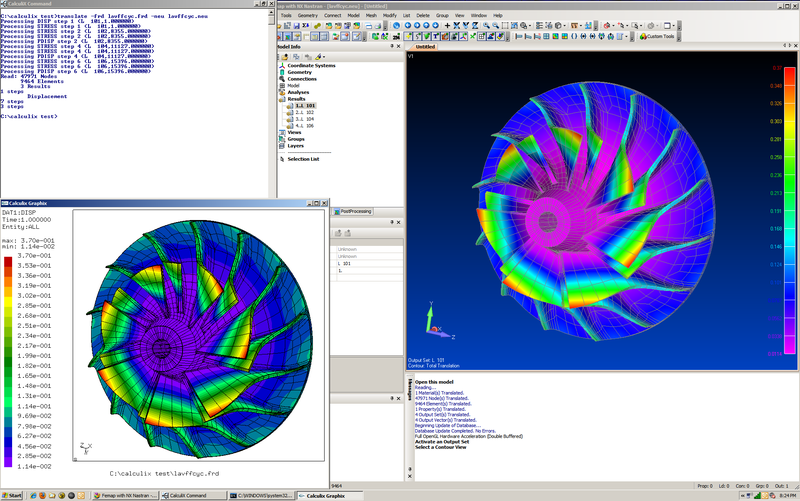 The first image below shows the compressor example that ships with CGX rendered in both CGX and Femap. This image shows the stress around a hole in both CGX and Femap.